"LUMPS AREN'T THE ONLY SIGN OF BREAST CANCER"
Most women know that a lump can be a sign of breast cancer. Lumps can be found anywhere in your breasts, armpit or around your collarbone. If you do find one it doesn't necessarily mean you have cancer. However, you do need to get it looked at by your doctor – just to rule it out. Of course, your breasts will look and feel different at different times of your life but if you’re worried about a change, see your doctor. After all, breast cancer is much more treatable these days and the earlier it’s found, the easier it is to treat. To find out more about checking your own breasts regularly, click here. You can even download an app that will remind you to do it at a time that suits you. 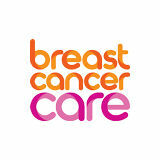 To find out more information on breast cancer visit the NHS Inform website or call their helpline on 0800 22 44 88. If you know anyone that’s concerned about any of these symptoms, encourage them to visit their doctor. It’s probably nothing serious but it could be a sign of something that needs treatment. “Breast cancer remains the most common cancer in Scottish women but it’s also very treatable when caught early. The best way of doing this? Regularly checking your breasts for any changes and attending breast screening. Attending breast screening is, of course, a woman’s personal choice. You may be reading this, feeling nervous or anxious about an upcoming appointment, or unsure whether to even attend. To help you, I’d suggest reading the NHS ‘helping you decide’ leaflet that’s full of facts and useful Q&As. Watching Elaine C Smith having her recent mammogram on the site will also help you know what to expect. 1 in 8 women in Scotland will develop breast cancer but, if found early enough, it is treatable. Lots of women do survive it. In fact, you’re five times more likely to survive breast cancer if it’s caught in its earliest stage. Breast screening alone saves around 130 lives every year in Scotland, helping pick up tiny cancers that can’t be seen or felt, often when they are less advanced. As well as regularly attending screening appointments, it’s important for women to continue to check their breasts for any changes. Only then do you have the best chance of being diagnosed early and surviving breast cancer. Getting checked – what's involved? If you do notice any changes in your breasts, it's important to see your GP. There's no need to feel embarrassed as your doctor is there to help you but if you would prefer, you can request to be seen by a female doctor or practice nurse. You could even take a friend along with you - the most important thing is to get checked. 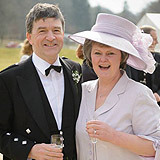 Reay from Inverness knows just how effective modern breast cancer treatment can be. All women between 50 and 70 are invited for breast screening every three years. You'll get a letter through the post, and be invited to either your regional breast screening centre or one of the mobile units. Don’t worry if you’re invite doesn’t come through as soon as you turn 50. Due to the three year cycle of the screening programme, you may not receive your first invite until you’re nearly 53. Attending breast screening is a woman’s personal choice. You may be unsure whether to attend however; hopefully the information on this site will help you make an informed decision. If you still have questions, visit NHS Inform for more information. While most women who are invited attend breast screening, many don’t realise that it can detect tiny cancers that can't be seen or felt, often when they are less advanced. Finding these small cancers makes them much easier to treat. You can find your nearest screening centre here. What happens at a breast screening appointment? Breast screening involves having X-ray images taken of your breasts (mammograms). For some women the process of having a mammogram can be a bit uncomfortable, but this part should only take a couple of seconds. In fact, the whole appointment takes a matter of minutes and it could save your life. 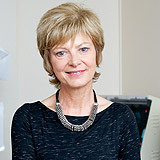 Find out what to expect at your breast screening appointment with Elaine C Smith's short video. 1 in 8 women in Scotland will be diagnosed with breast cancer. Breast screening saves around 130 lives every year in Scotland. It only takes about 10 minutes and could save your life. You can find more information on breast cancer on the NHS Inform website or by calling their helpline on 0800 22 44 88. Below are some of the other signs and symptoms to look out for. Don't Get Scared, get Screened. If you're a woman over 50, the combination of checking your breasts and attending your regular breast screening appointments gives you the best chance of being diagnosed early – and surviving breast cancer.